Here’s a quick update on my beloved Cincinnati Reds. I know there aren’t a lot of you, but I love those of you who are interested enough to read it, those of you who love and support your team in the foul-weather stretches of a 14-under .500 season. Good on ya. When I was young, and it was said that my team was “rebuilding,” I thought it was just a nicer way to say “we’re sucking, and we have to give our fans a reason for said sucking.” I’ve been behind this rebuild, however; I really can’t tell you why I have been, but I have. Maybe it’s only because I generally choose to have a positive opinion about things, but one Joseph Daniel Votto might have something to do with it as well; I’m big on that dude, and if you’re gonna have a guy to anchor a rebuild on, you could do a lot worse. I’ll admit, my sister Cheryl and my brothers, Steve and Tim, have witnessed my exuberance about the coming together of these efforts and the rushed expectations that have gone along with it; I predicted the Reds would come close to the playoffs last year and make it this year. 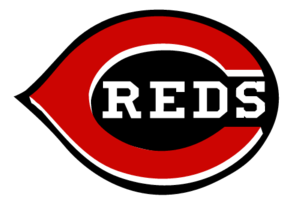 Still, I believe in it, and I believe that the Reds have a playoff team on the horizon. Maybe not next year, but by 2020 at the latest. I wouldn’t bet against next year, though. Since starting out 3-18, the Reds have gone 27-27. Since May 7, the team is 23-18, which constitutes to an 89-73 full season. With the present standings, that winning clip would have them earning the first wild card spot. The team has also won six straight and nine of their last 11. Both Eugenio Suarez and Scooter Gennett could be in position to win the NL MVP. Votto could get there too, but it would take a really monstrous second half. Still, while Scooter is currently leading the NL in batting (.336), anyone who has been watching knows that nobody is more valuable than Geno is to his club right now. Yes, he did miss 15 or so games earlier in the season, but, while batting .304, in 58 games he had 16 HRs, 57 RBI, and 66 hits. You put that to a full season, and you get 44 HRs, 159 RBI, and 184 hits. The dude is straight up torrid right now. Overall, this is a good hitting club. It hasn’t proven to be as good a scoring team as it is a hitting team but they’re doing better at that. To support that, their .254 team average ranks them fourth in the NL, while they only rank eighth in runs, with 327. The run production is improving, however; their season average is 4.36 runs per game, but in the ten games leading up to yesterday they averaged 5.6. Despite all of this, the pitching is what this rebuild is based on, most notably starting pitching, and that picture, so long blurry, is beginning to come into focus. For now at least, we’re pretty much past statements like, “Well, if this guy does what they think he can do…” and “Once so-and-so gets off the DL…” Yes, there are still the DL situations of Homer, Rookie, and Finnegan, but it at least feels like we have a pretty set rotation in place. That rotation features five pitchers (DeSclafani, Romano, Mahle, Harvey, and Castillo) who can give a solid offense a fighting chance every day. During the six-game winning streak, they have gotten six quality starts. The starter has gotten the win in all of those games. Getting back to those “If…then…” statements for a moment, if these youngsters can each do what is expected of them, we could potentially see a rotation as formidable as the Braves’ Maddux, Glavine, Smoltz years. So, there are reasons for hope for us faithful fans. I look forward to seeing you there as we continue to turn corners. Previous PostPrevious What if everyone was always on time?